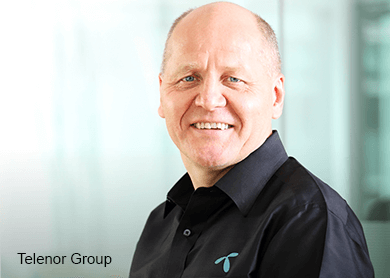 KUALA LUMPUR (May 12): Leading global mobile operator Telenor Group has appointed DiGi.Com Bhd chairman Sigve Brekke as its new group chief executive officer (CEO) effective Aug 17, 2015. Brekke will be succeeding Jon Fredrik Baksaas, who has served as group president and CEO of the group for 13 years. Baksaas will continue as adviser to the board of directors until end-2016, and will serve as chairman of the GSM Association, the global industry association for mobile operators. Brekke, who joined Telenor in 1999, has held various executive positions in the group, and is currently the executive vice-president and head of Telenor Group’s Asia operations. “Sigve Brekke has a solid track record as the Head of Telenor’s Asia operations and part of group management since August 2008. “His leading role in our Asian success story combined with his vast international experience and leadership capabilities will be of great value as the company continues its profitable growth journey,” said Telenor chairman Svein Aaser in a statement today. Prior to joining Telenor, Brekke served as Norway's deputy minister (state secretary) of defence from 1993 to 1996.